Nowadays the design and development of a web application take a time that’s why we look for alternatives to reduce time and complexity. One of the feasible solutions is the famous “Bootstrap Templates”. Bootstrap templates are web page designs that have been created to demonstrate the final look and functionality of the website. 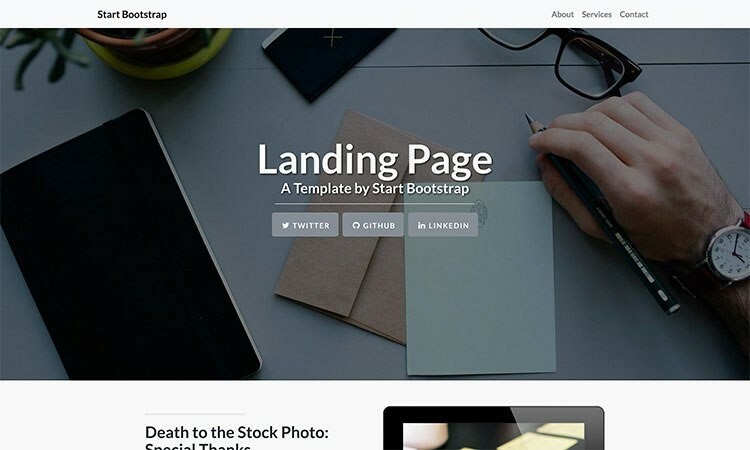 Take a look at our extensive selection of Bootstrap templates that will help you launch a successful online project. We follow modern web trends and have applied them to the best templates that will perfectly into your projects! But first, do you know what it is about? What is Bootstrap technology? In two words, Bootstrap is a framework. Bootstrap, originally named Twitter Blueprint, was developed by Mark Otto and Jacob Thornton at Twitter as a framework to encourage consistency across internal tools. Before Bootstrap, various libraries were used for interface development, which led to inconsistencies and a high maintenance burden. Bootstrap has made our life easy. It deserves to be mentioned, that the Bootstrap panel embodies the idea of adaptive design as the themes. Bootstrap templates are compatible with all modern portable devices. This framework, effortlessly and efficiently, adapts an Internal resource to any screen resolution starting with phones and tablets and ending with computer desks. It does this through CSS media queries. 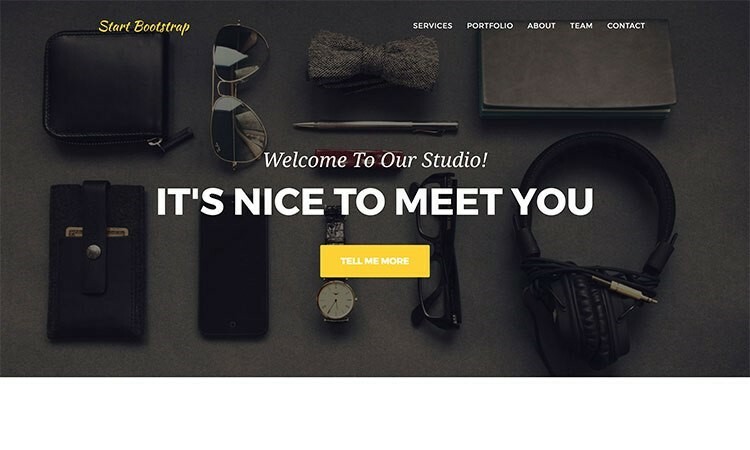 Therefore, we have decided to join the Bootstrap panel with our web themes to obtain a variety of creative and extremely easy to use and modify web templates. The professional Bootstrap templates and Bootstrap form templates include both the regular functionality of Bootstrap and a multitude of add-ons that have been specially developed for these products. Most of the topics in this section have such features, such as Parallax scrolling that adds more dimension and depth to the design. They also offer you a large collection of additional page layouts, while some of them also feature an online chat feature. In addition, there are certain options to certain templates, such as a “favicon”, a drop-down menu, Google maps, Google Web Fonts, etc. On the other hand, all of the mentioned web page templates are free products optimized for SEO (Search Engine Optimization), which means that they have already been optimized for the requirements of popular search engines. These designs are compatible with all web browsers, so you will not have problems with viewing your web pages. The Gentella template is under the license of MIT which means that you can copy, use, modify, publish, merge, distribute, sublicense, or/and sell copies of it. But keep in your knowledge that Colorlib is the original writer of Gentella template. You can Download Gentella template from here. 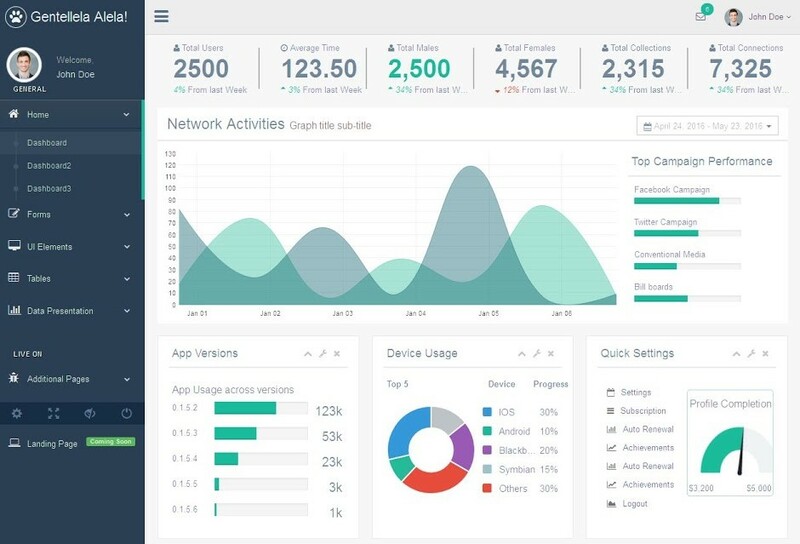 Metis is one of the administrative bootstrap templates has a serious appearance, although one of its main elements is the color-changing that can be implemented in the template. The components that this template manages can be very useful in your web applications because this template also handles different elements such as tables, forms, calendars, statistics, styles for maps and form validations. Lumino is one of the free Bootstrap templates that have a flat design, a little more friendly, the tone of the template is blue and has, in the same way, several complements such as bar graphs, forms, lists, among others. Although the template does not show examples of implementations as complete as we expect, this template can be used for very simple applications that require a high level of visual attraction. DashGum template’s color is yellow. It has a minimalist touch and apparently the template is made for systems that perform the administration of an online sales system or systems that manage portfolios. The only detail of this template is that it does not have the option to modify this color, if you know the styles, you can change the color and you will have an excellent web template. 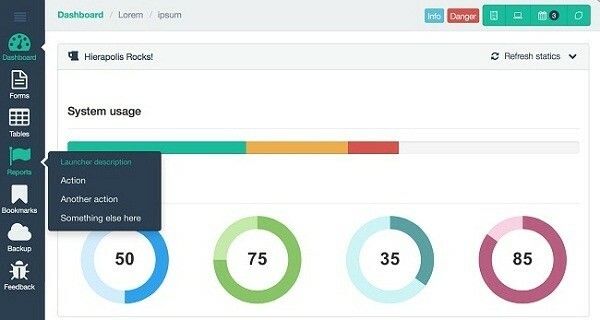 This bootstrap form template comes from start bootstrap and is very popular, its color is gray with white, it has most of the necessary web complements for an application, however, the template lacks a calendar as a demonstration, although if you need it at some point you could implement the plugin called full calendar. The template has a demonstration of tables, forms, panels, buttons among other elements. 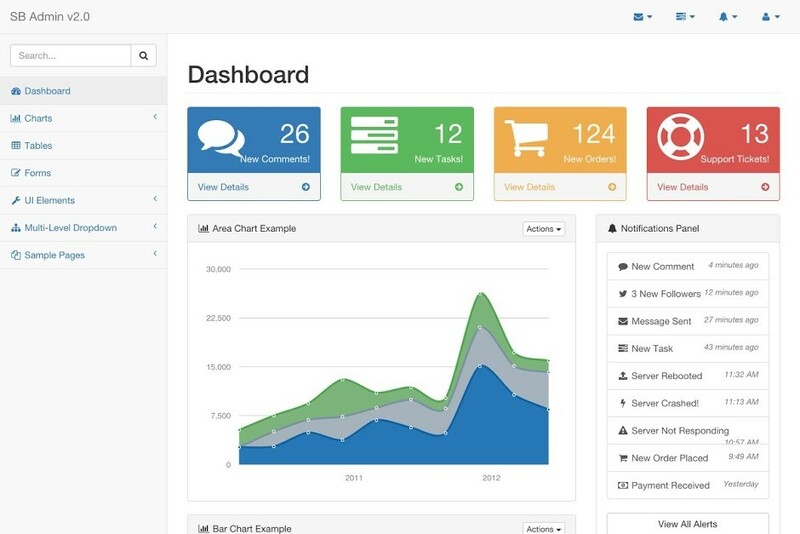 This template has a different design than the traditional administrative templates, the difference is in the left side menu and the HTML components. The template is a very simple one so you could use it in a small web system, the template has graphics, forms, tables, messages, profile section and a fantastic configuration option, something very peculiar that this template has is that its tables are prepared to delete, view and modify records in a table, so if your system manages tables of databases this will be of great help to you. One of the most complete free templates on the web has many components such as Graphics, complete buttons in terms of sizes and shapes, tables with a design, also has a demonstration of highs, lows, and changes including manners to request data from the user. It has listings for file selector, picker calendars, manners with jQuery UI, drag and drop lists, different layouts, elements such as buttons, panels, tabs, sliders, forms with various controls including multiple selector, double list, tags, wizard elements, Wysiwyg with different options, plugin to attach files, multiple widgets, calendars with drag and drop functions, galleries, user profile pages, inbox, price tables, among others. It is available in several colors giving us the possibility of implementing it in a web project. Now we will take a look at the Bootstrap 4 templates. Bootstrap 4 is a main rewrite of the entire Bootstrap framework and includes a lot of new and interesting features such as Flex-box for the grid, SASS for CSS styles, cards, compatibility with any font icon such as Font Awesome, etc. All these changes will help you find the latest standards in the web design and development industry. Here we have a list compilation, some of the best Bootstrap 4 templates that are available for free to download, as well as some of the highest quality Bootstrap 4 templates. While Bootstrap took a long time to deliver this next iteration of the most popular CSS framework, it is possible to dedicate a new Bootstrap design. 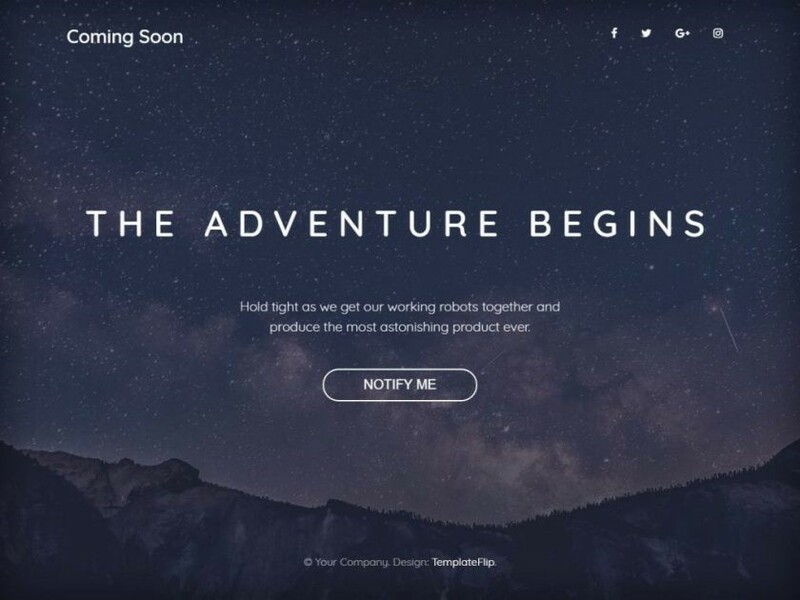 There are many Bootstrap free templates 2018, which are available for you to start developing web design projects. Also, in this post, we take a look at many templates that are built with Bootstrap 4 in many different styles, such as landing page templates, admin templates, blog templates, portfolio templates, clients (Portfolio Templates), etc. If you are starting your trip on Bootstrap 4, we recommend using a popular User Interface Kit, which is based on Bootstrap 4 and offers professionally designed components and many pre-built sample pages and sections. A user interface kit, such as Paper Kit 2, can help you in the long term and will cost you less if you are going to build several websites with Bootstrap 4. They also have a free version available. We have divided our collection of templates based on Bootstrap 4 into several sections to make it easier to find the template you need. This template based on Bootstrap 4. This template designed by “TemplateFlip”. It offers a full background image at home page with modern typography and social icons. A modal dialog box for subscribing to your email list, also the template includes a call-to-action button. This template is completely free under CCA3 license. 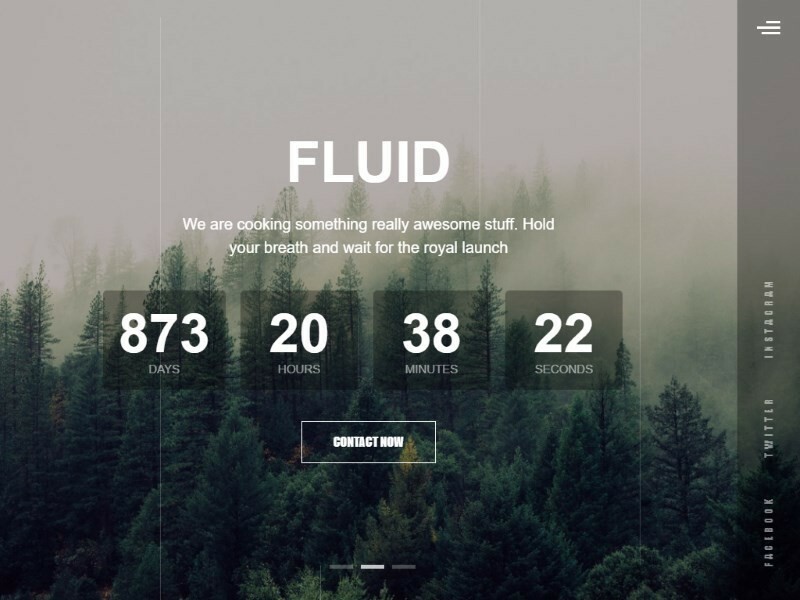 Fluid is a Paid bootstrap template. It has impressive animations. This template designed in Bootstrap 4. It offer’s four different variations: Image background, video background, background slider and minimalist design. The animations are developed in CSS3. The Landing Page bootstrap templates used to show the characteristics of product and services. It often has a call-to-action button for users to try or explore the product/service. You can also include sections such as user testimonials and comparison tables of features and prices. Discover the free and paid landing page templates created with Bootstrap 4. 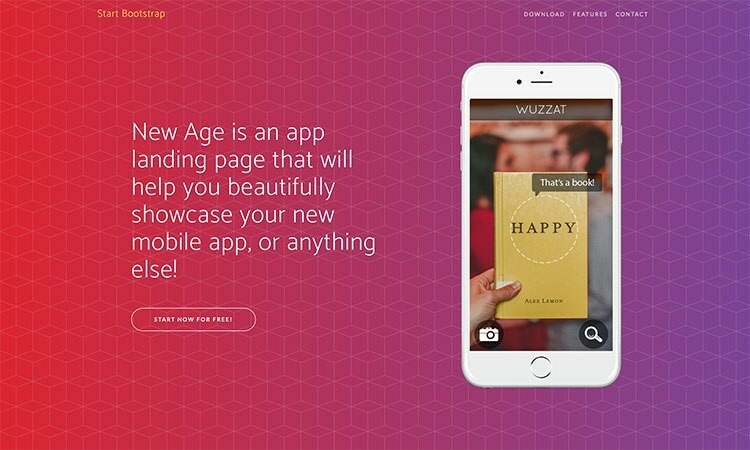 New Age is a free landing page template for mobile applications offered by “Start Bootstrap”. This template used to present an application, a product or a business. The template has built for CSS device mockups and you can simply drop in your screenshots avoiding the need to manually edit the screenshots to fit inside a device. 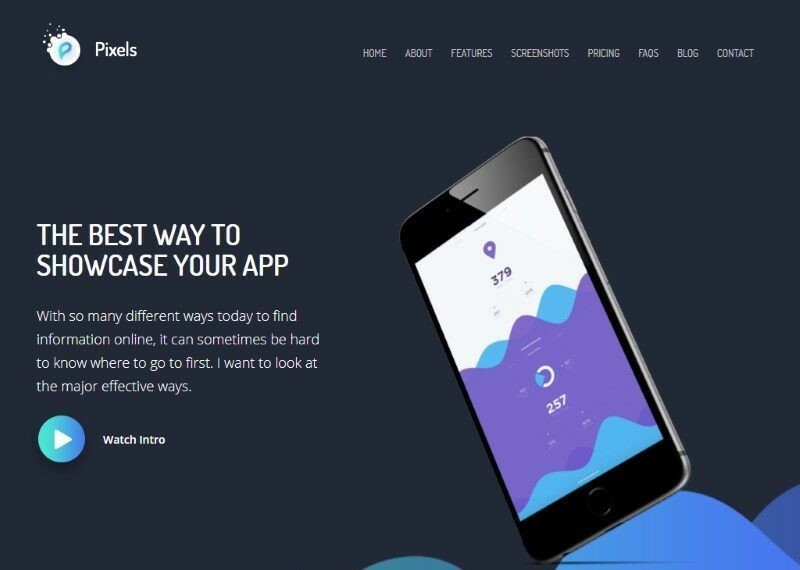 Landing Page is a free and elegant template with a landing page. Designed by “Start Bootstrap”, using all the benefits of Bootstrap 4. The navigation menu and social buttons have set by Font Awesome. 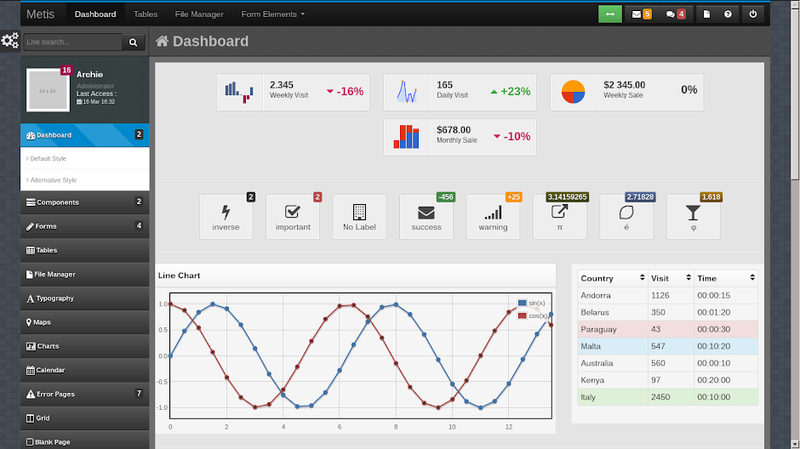 Alternative versions such as a Bootstrap 3 version and a Jekyll template are also available for this design. If you’re looking for an awesome design for your application/product or business with a landing page. Bootstrap 4 template “Pixels” is the best choice. It Offer’s more than 15 different designs. 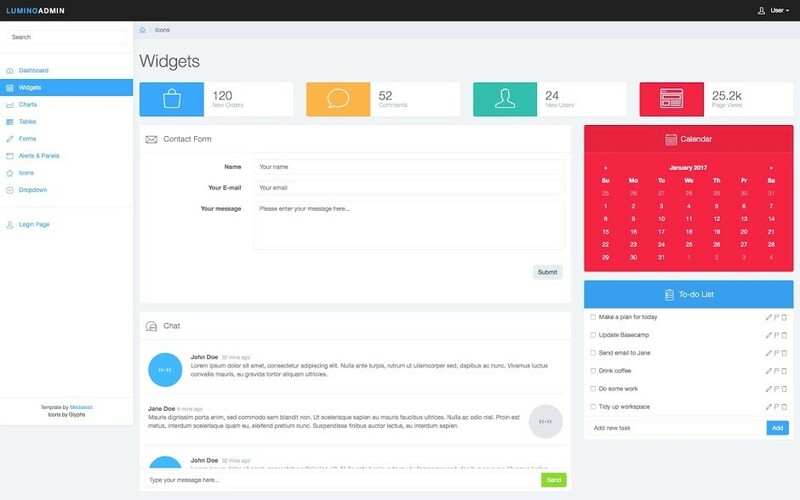 This template designed to integrate easily with MailChimp and contact form. Startup/Agency bootstrap templates are suitable for those wants to show their work portfolio and the services they provide. Below, we have compiled some of the best Bootstrap 4 templates that are suitable for companies that offer services. 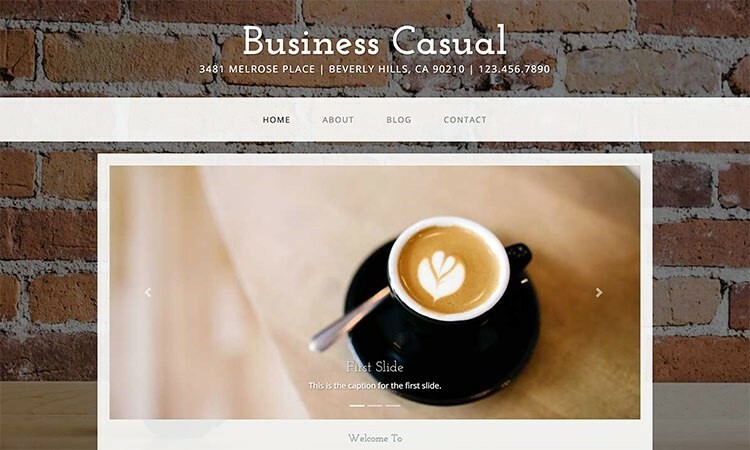 Business Casual is a free template based on Bootstrap 4 suitable for business agencies. It offers four different integrated pages with a slider on the home page and Google map on the contact page. 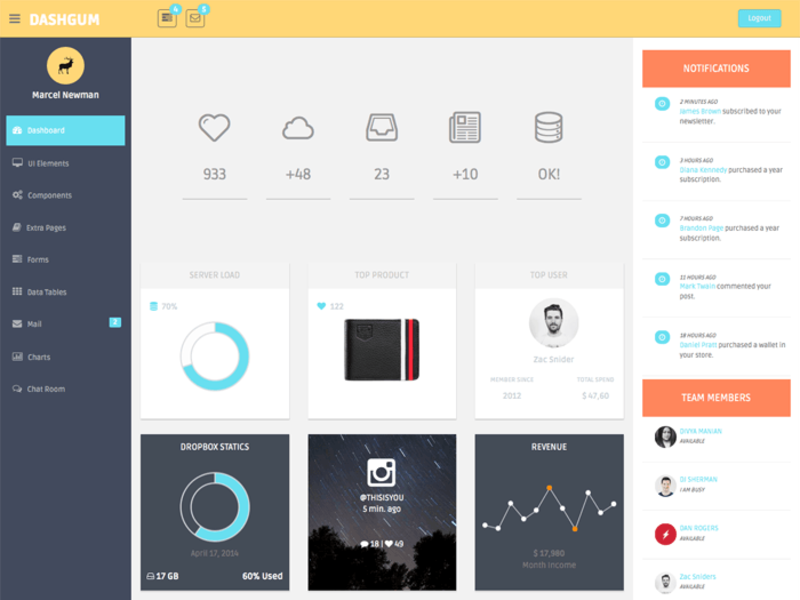 Agency is one of the free bootstrap templates is about an agency. This template is very useful to present a small business corporate website. Template designed by “Start Bootstrap”. 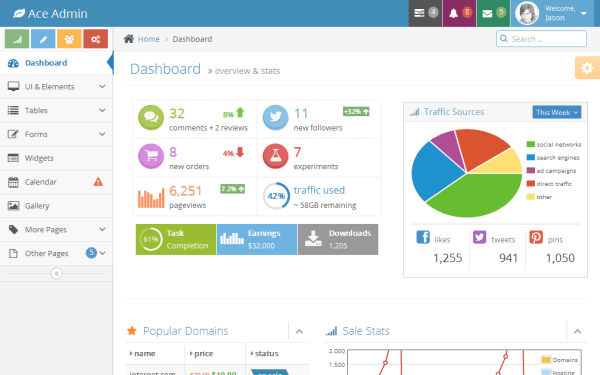 It has sections of the homepage, customer portfolio, response timeline, team member and much more. If you are looking for a template for a website with a dark design. 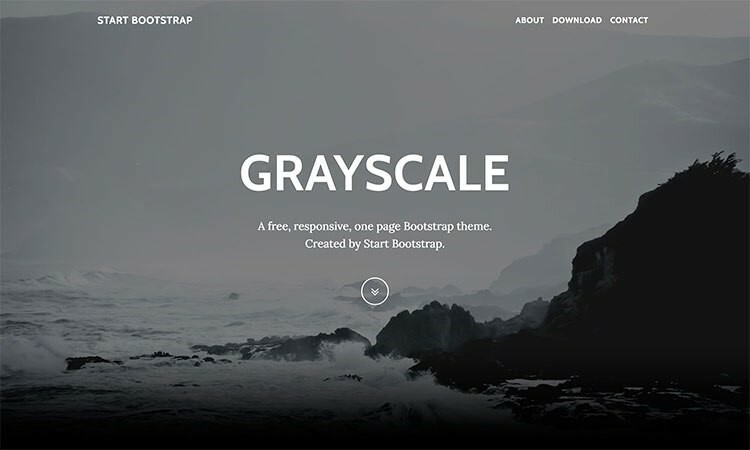 Bootstrap 4 templates called “Grayscale” will certainly please you. It has a fixed upper navigation that stays anchored in the upper part while the user navigates. It also brings animations that respond to the displacement within the template. 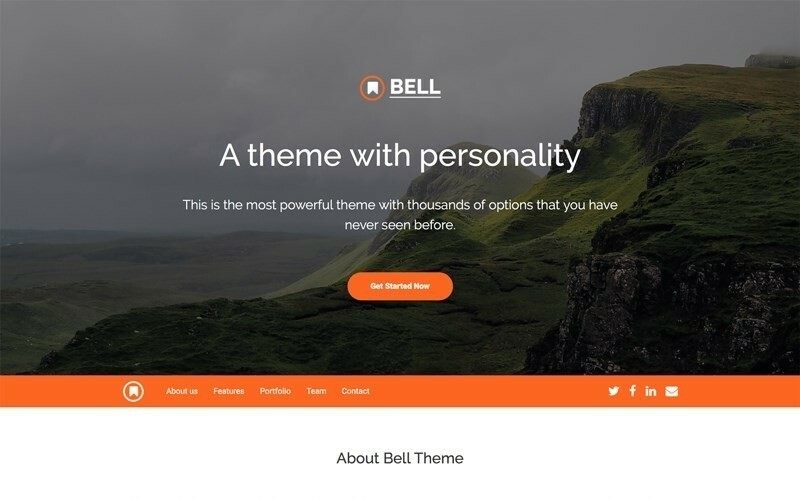 Bell is a unique page Bootstrap 4, theme suitable for any type of business website. Includes parallax blocks with animated scrolling. Bell template is available in two versions “Free” and “Paid“. The Paid version includes premium support. If you know another free template you can comment below. If you liked this article do not forget to like and share it on social networks.